Are you tired of experimenting with prints and patterns to alter the mood of bedroom? Let’s this time play with the glitter of various shades to keep the ambiance alive with a different twist. Plain colors enliven the space in their own mysterious way. They can be soft on eyes to calm down the anxiety burning inside; on the other hand they can be warm enough to cozy up the whole room. There is hardly anyone who can live without colors. So, why not play with their mystical glamour to perk up the mood and make it more exciting. Just imagine yourself diving in the juicy pool of orange, flirty pink, blood red and lime green. It is going to be a great fun every day. Some are quite relaxing for the soul while other charge up the sleeping spirits to make life super enthusiastic. Let the dramatic hues bring back the thrill in life with their inexhaustible charisma. 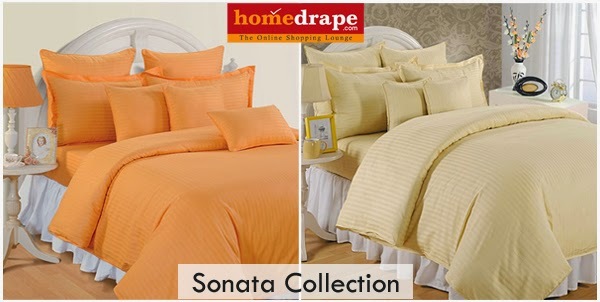 Plain cotton bed sheets are often considered as dull and boring. But don’t forget simple is the true beauty that can last for long. Solid bed sheets never go out of fashion and thus are true companions in life. They would welcome you after long tiring day with the subtle glory to bring a cute smile on face. Further, if cotton too comes into the picture, the grace would reach to another height. Being a good absorbent, dyes are readily soaked into it and thus extraordinary splendor evokes. Not only this, it caresses senses to make you fully contented with what you have. There are no allergies and infections, just heavenly feely that would be giving company you on the bed. So, start making mind which color you would first like to experiment in your bedroom. Don’t wait for any festivity your mood is the reason enough now to change how your bedroom feels.